Rosewood’s four prettiest little liars are back, but this time they swear they’re telling the truth. Hanna, Aria, Spencer, and Emily found a body in the woods, but when they take the cops back it’s vanished without a trace. And after those same woods go up in flames, the girls all see someone who looks exactly like Ali emerge—but that’s just not possible. With everyone convinced these four are simply out for attention, will anyone believe it when the real killer comes after them? 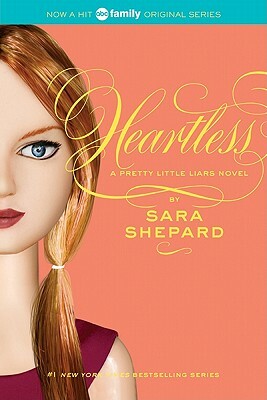 Full of unexpected twists and shocking revelations, Heartless is the seventh book in New York Times bestselling author Sara Shepard’s compelling Pretty Little Liars series.